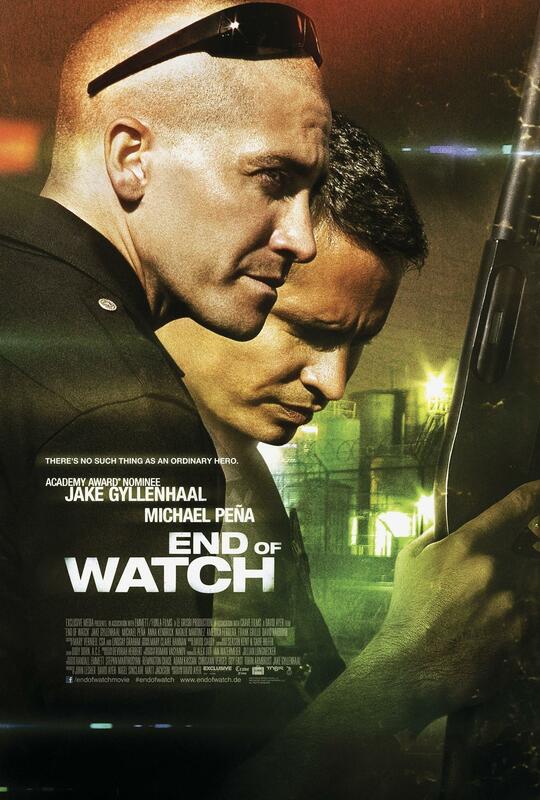 For this month’s next review for Genre Grandeur – Found Footage Movies, here’s a review of End of Watch (2012) by me. 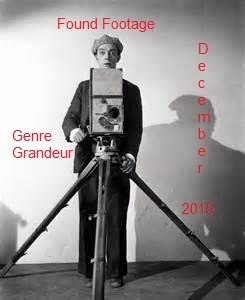 Thanks again to Tim of FilmFunkel for choosing this month’s genre. Next month’s Genre has been chosen by Natasha of Life of This City Girl We will be reviewing our favorite Sci-Fi Movies. Please get me your submissions by the 25th of January by sending them to scifinatasha@movierob.net Try to think out of the box! Great choice Natasha! Brief Synopsis – The life and hard work of two LA police officers is shown via camera footage. My Take on it – Found Footage was actually the most difficult choice for me for genre grandeur since its inception nearly two years ago. I was able to count on one hand the number of FF movies that I had seen before this month and none of them are considered amongst my favorite movies. I definitely applaud Tim for choosing this genre if not only to expose me to more films that are made in this style. I doubt that I will keep looking for one I’ll love, but perhaps I’ll come across some one of these days and this month’s viewings have helped me appreciate the genre a bit more. This movie came the closest in my opinion to be the best of the ones that I’ve seen. I really enjoyed the way that they showed the difficult and thankless job of LAPD cops on the beat and how their personal lives are also affected by the job that they do. The perspective shown here is quite intense and because it was filmed in the FF style, it actually makes the film feel even more realistic. Jake Gyllenhaal and Michael Pena have great chemistry together and I understand that most of their conversations are improvised which means that the actors also hit it off while making this movie. This is filmed in a very gritty fashion which makes the world shown to be very lived in and dirty which also makes it feel more realistic. Some of the plotline feels a bit too far-fetched and that is one of my qualms about this movie. Bottom Line – The found footage aspect helps make this movie feel very realistic. Excellent performances by Gyllenhaal and Pena who seem to have great chemistry on and off screen. Slightly far-fetched plot takes away from some of the impact. Recommended! Sadly Rob, you’re encountering FF correctly: rock-rock-rock-DIAMOND (only it’s closer to a dozen “rocks”). Maybe thrill of the hunt or that the “13th” FF is just that awesome, but FF’s definitely an acquired taste. Thanks for letting me jump in!